When is a Tax Cut Not a Tax Cut? When is a tax cut not a tax cut? The answer, when you are a small business. The struggles of small business owners have been gaining political momentum in recent years with our political leaders focusing on red tape and income taxes. From what we have seen, despite the rhetoric, there really hasn’t been any reduction to red tape. In some industries, a case can be made red tape has actually increased with more industries to go the same way soon. So, this leaves taxes. Surely all the media reporting and grandstanding from politicians can’t be wrong? While the politicians aren’t lying and the media is reporting the truth, the fact is there really has been no change. 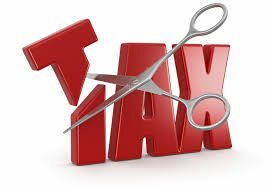 Reduction in corporate tax rates for small businesses from 30% a couple of years ago to 28.5% for the 2016 financial year to 27.5% for the current year. Any provision which allows small business to speed up the claiming of tax deductions is always welcome as it more closely aligns when funds are spent to when tax savings are made. The current concession allows a small business to claim an immediate deduction for tangible assets purchased for less than $20,000. Sounds great but is it really a saving? Not really. All this measure does is allow a small business to claim depreciation deductions quicker than they otherwise would have. Doesn’t change the amount of deduction just the timing so in most circumstances there is no real saving. What the measure does very well, is remind small business owners of the need to invest in themselves and their businesses and encourage the purchase of new and better equipment which will hopefully help the business to grow and expand and ultimately (hopefully) pay more taxes rather than less. So how about the lowering of corporate tax rates for small business? Surely this must be a good thing? Well any reduction to tax rates is a good thing but for most small business owners operating via a company, it really won’t make any difference. In fact, a strong argument can be made they would actually be better off from a tax perspective not to be operating under a company. You see the problem is small businesses are run to make a living for their owners to pay their mortgages, put food on the table etc. There really is any intent to build up assets and wealth within the company as happens with large companies. Small business companies usually tend to only declare profits when they are paying down debts or purchasing new equipment (the accelerated depreciation scheme aside). Generally, they otherwise, tend to pay out profits to owners as either wages, directors fees or dividends which ultimately sees the profits shown as income on their personal tax returns which therefore means they pay tax at marginal rates not corporate rates. So if these small operators end up paying tax at marginal rates the same as everyone else, where is the saving? And the short answer is, there is no saving. For example, if ABC Pty Ltd makes $50,000 profits for the 2016/17 financial year. The company would be 27.5% or $13,750. If the profits are paid out to 1 owner, they would pay $8,547 in tax. Allowing the company to pay the tax would clearly be a bad idea for the owner. Now, let’s say the profits are $150,000. The company tax would be $41,250. But if the owner wants to be able to use the profits themselves and transfer them out of the company they would pay $46,132 (assuming no Medicare levy surcharge is payable). So in this scenario has lowering the corporate tax rate led to a saving for the business owner? The answer is no. As previously referred to, let’s assume the same the business with the same profits is run as a sole trader, partnership or trust. A small business run under any of these structures can potentially gain access to the Small Business Income Tax Offset which can reduce the tax paid by up to $1,000 per year. If there aren’t any real tax savings who wins? In short, politicians. To non-small business owners, reducing the tax rate sounds like a great way to help those taking on the commercial risk that comes with running a business. The reality can be quite different. Why operate a small business under a company if you are likely to pay more tax then you would if you traded under a different structure? Depending on your industry there can be licencing issues to consider and companies can be a good way of separating the assets and liabilities for the business from the business owner which can be very handy should the business fail. If you would like more information on how we can assist you to structure your business to achieve your goals, contact us for an appointment.